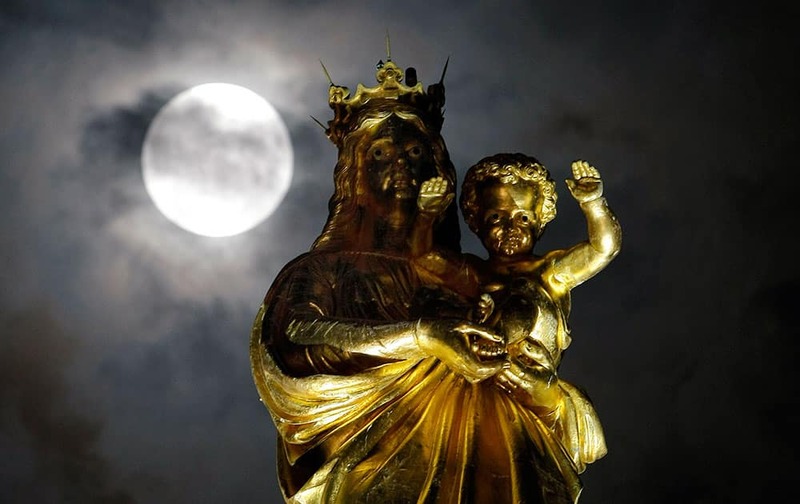 A super moon pasts behind a statue of the Virgin Mary and the Child at Notre Dame de La Garde basilica, before a total lunar eclipse, in Marseille, southern France. 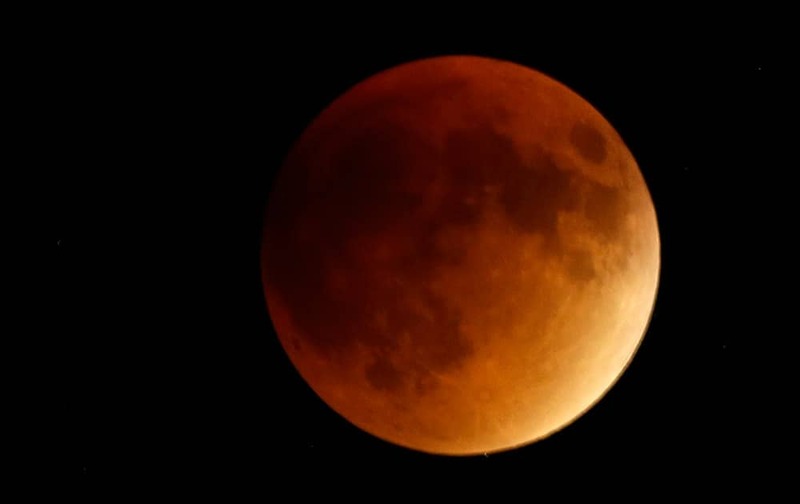 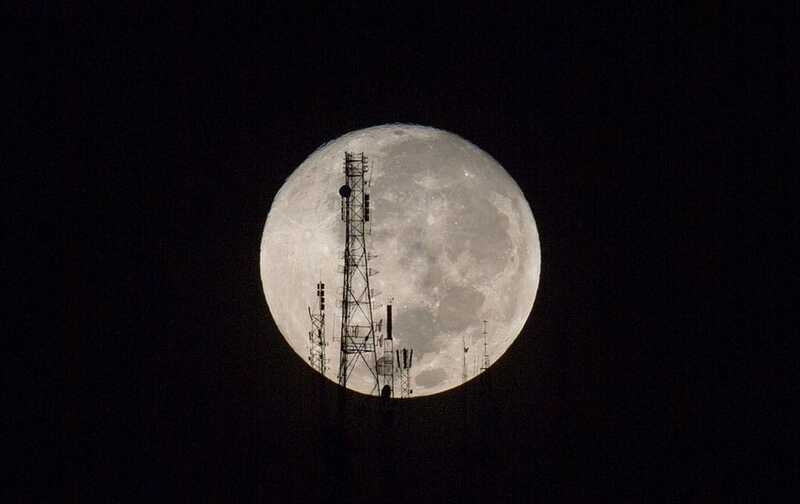 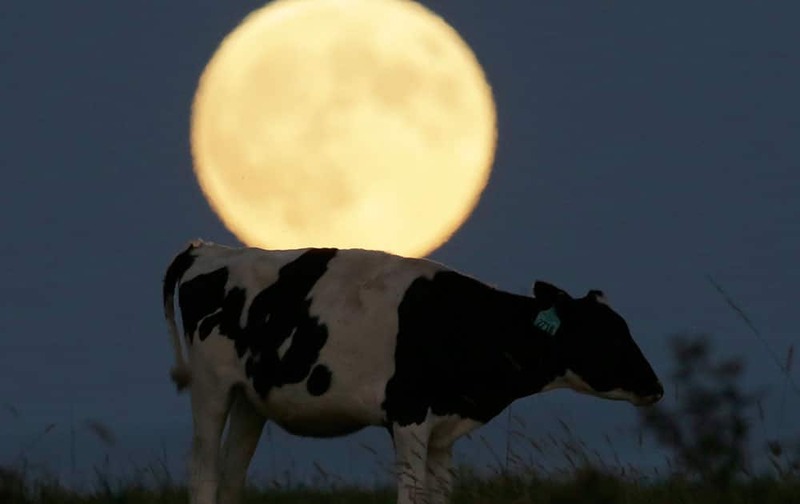 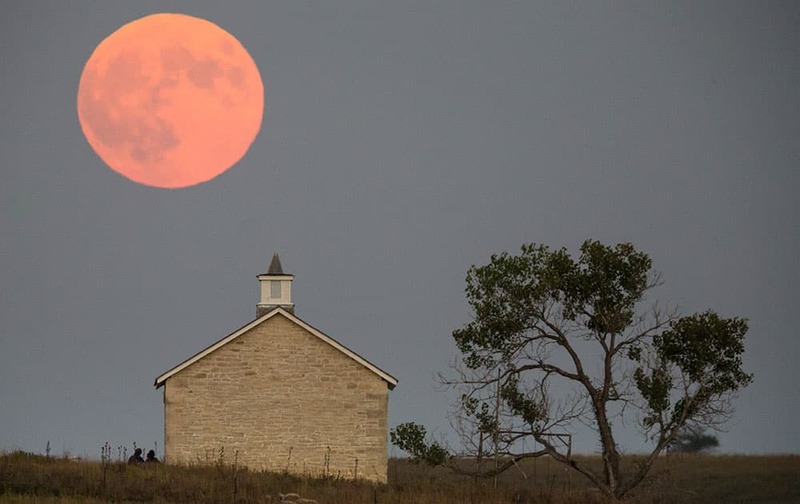 EARTH'S SHADOW OBSCURES THE VIEW OF A SO-CALLED SUPERMOON DURING A TOTAL LUNAR ECLIPSE NEAR LECOMPTON, KAN.
A super moon rises behind a grazing cow in a pasture near Lecompton, Kan.
A full moon silhouettes television and radio antennas on Boutilier Mountain, in Port-au-Prince, Haiti. 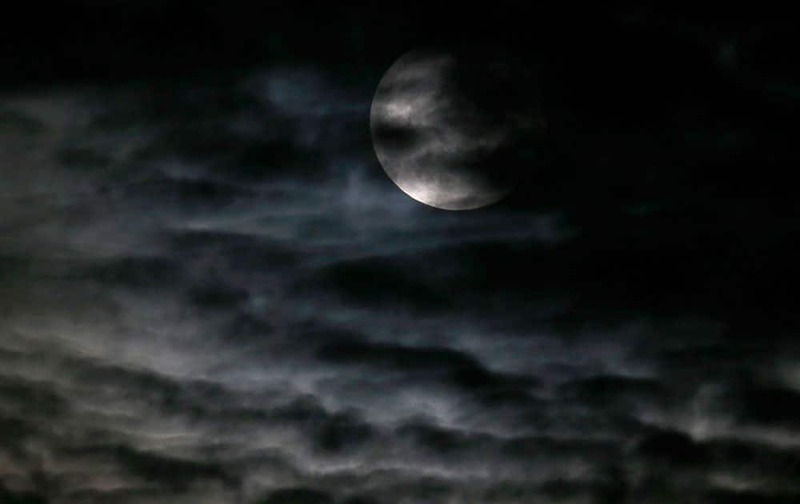 Clouds obscure the so-called supermoon before a lunar eclipse in Chicago. 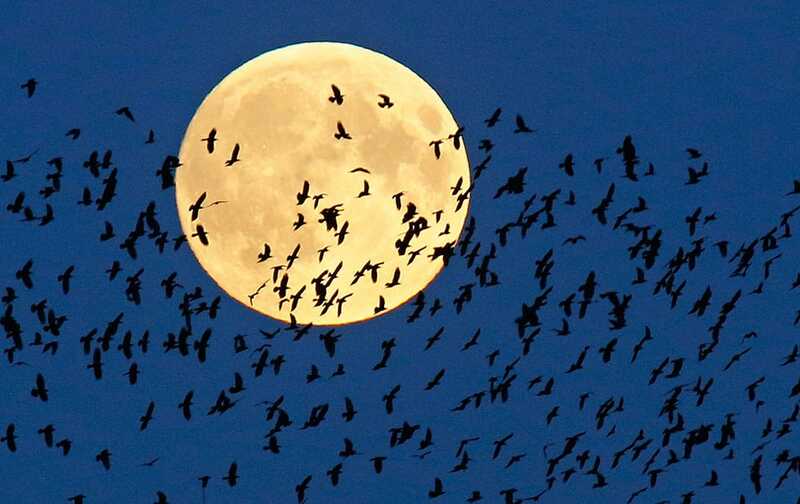 A flock of birds fly by as a perigee moon, also known as a super moon, rises in Mir, Belarus, 95 kilometers (60 miles) west of capital Minsk, Belarus. 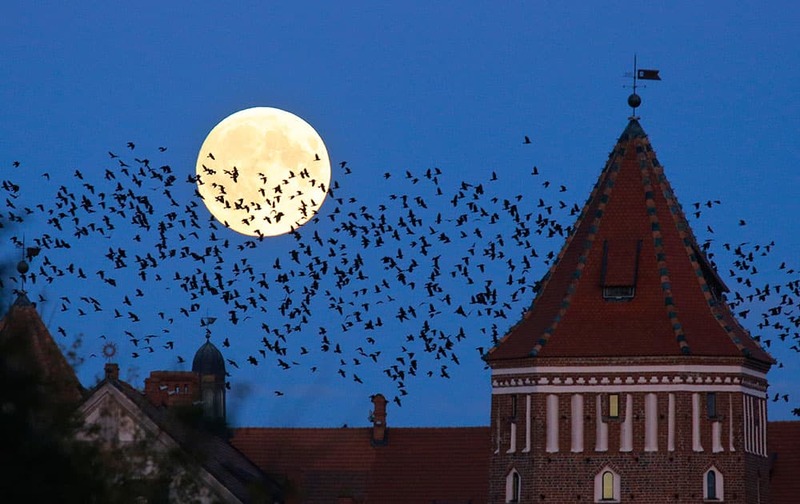 A flock of birds fly by as perigee moon, also known as a super moon, rises above a medieval castle in Mir, Belarus. 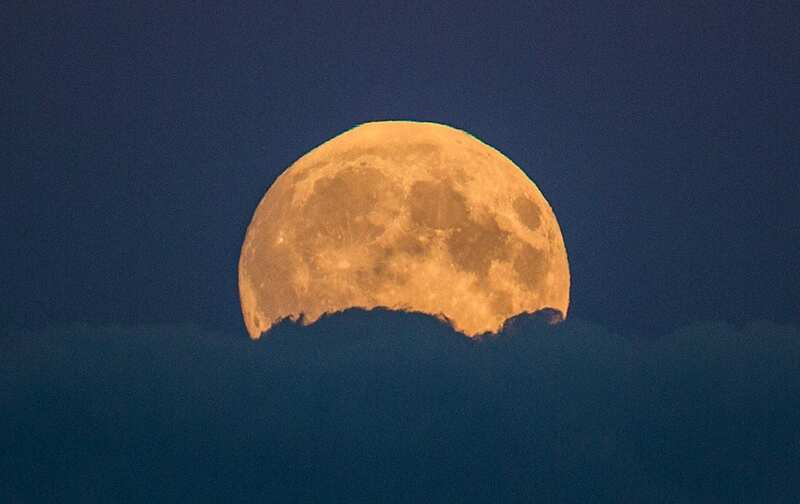 A full moon rises between clouds in Berlin, Germany.